The Pointe at Kilpatrick is a provider of apartment living for those 65 and older in Crestwood, Illinois. The Pointe at Kilpatrick offers the highest standard of supportive living to our residents. 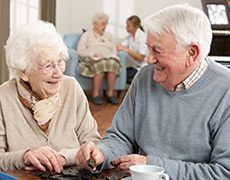 Our community provides assistance in the activities of daily living allowing residents to maintain their independence and enjoy the companionship of other residents of their generation. As life expectancy continues to rise, more and more seniors will need assistance. According to a recent study from the Department of Health and Human Services, a stunning 70 percent of Americans aged 65 and over will require long-term care services at some point. With the cost of nursing home care on the rise, millions of elderly adults worry they may be left in the cold. At The Pointe at Kilpatrick, we believe that every senior should get the help they need, regardless of their net worth. To address this growing problem, our assisted living community provides supportive living, as well as other services. 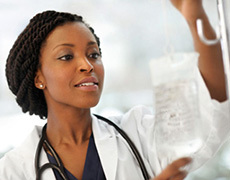 A relatively new option, supportive living was created to fill a desperate need for affordable long-term care services. Designed for elderly individuals with reduced income, it creates huge cost savings by combining apartment-style housing with personal and group care services. 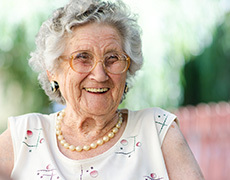 Unlike nursing homes, residents can live as independently as they like and take part in the decisions that affect them. Even though it is less expensive, many patients prefer supportive living to the alternative, because it affords them greater control over their own lives. Because it requires a higher staff-to-resident ratio, not every assisted living community has its own memory care department. We are proud to offer dementia-specific care services in a safe, secure environment. Because it serves a small number of residents, our memory care unit is able to provide personalized care. In addition to housekeeping and laundry services, our staff also designs nutritional management programs for each resident. As an assisted living community that offers subsidized senior housing, The Pointe at Kilpatrick appeals to a wide audience. We are happy to welcome seniors from Midlothian, Alsip, Palos Heights, Orland Park, Tinley Park, Worth, Chicago Ridge, and Blue Island to our community. Whether you are someone who worries about the high cost of long-term care or someone looking for an independent living arrangement, we can create a plan that provides the services you need at a price you can afford. We also offer specialized care, such as memory care, and other services that are not offered at many assisted living facilities. Our philosophy of care may be different from that of many of our peers. In an effort to preserve the independence and privacy of our residents, we provide assistance only when needed. This lets residents live their lives as they see fit in a warm, welcoming community that includes residents of their age group and experienced caregivers. Do you have questions about our assisted living community? The Pointe at Kilpatrick in Crestwood, IL invites you to call and schedule your free tour today. 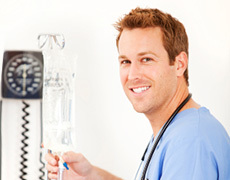 Our professional staff is always available to assist residents for emergency and non-emergency issues. We strive to provide the best accommodations for our residents here at The Pointe at Kilpatrick. Our apartment and community amenities will help you feel like you're at home. Are you happy? Do you love caring for others? Apply online for any of our open positions. Schedule your tour weekdays between 8 am and 4 pm. If you need a later tour time or a weekend or Holiday time please call and schedule a time with our team. We look forward to meeting you.